MACD Taken to the Next Level! The “Swiss Army Knife” of MACD cross signallers. You can draw signal arrows on the MACD or on Price. 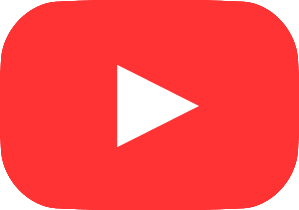 Choose whether to play audio alert when cross occurs. You can select from 3 different types of graphics (arrow, dot or triangle). Thanks for the MACD Crossover Alert Ninja Trader indicator. I set it up today and was rewarded with high volatility in the NQ market. I was very successful with 15 out of 19 trades winning and a total of 93.50 points! My usual setup was trading three contracts with profits set at 6 and 8 points and one runner. On my largest winning trade I ended up with 4 contracts running on a long trend for a total of 55 points! So yes I am pleased with your product! Every Trading Channel and Band wrapped into one Power Tool. Universal Channel Bands gives you the flexibility of selecting 12 different moving average types for the midline. 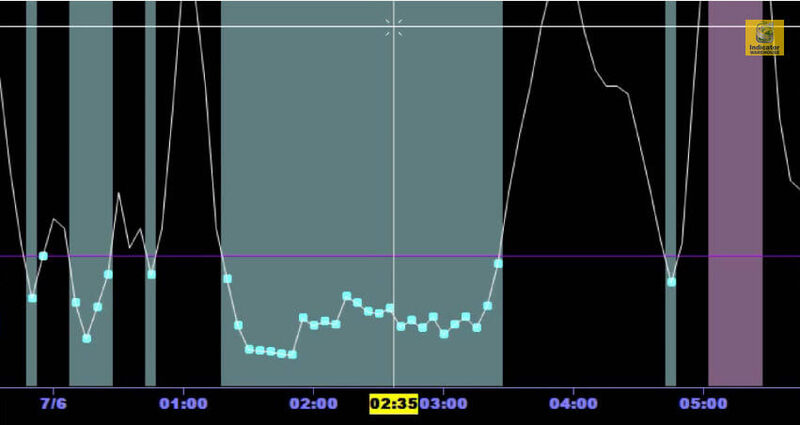 You can choose whether to play audio alert when price touches the upper line, mid-line or lower line. Optional launch a pop-up window when price touches upper line, midline or lower line. Sure... there are dozens of "free" moving average indicators floating around the Net. The Ultimate Moving Average includes over a DOZEN types of moving average indicators, all in one tool... including Super Trend, Volatility Moving Average, and our own proprietary Resistance Moving Average (RMA). Everything you could ever want from a Moving Average indicator... and then some! Fully customize your choice of moving averages to give you visual, audio, and email alerts as well as the ability to completely customize display to unclutter chart. The Ultimate Moving Average indicator lets you select a large number of different types of moving averages, and the plot will be multi-colored. One color for an up-move in the average, one color for the down-move, and one color for a user defined flat or Ranging periods. There are a variety of visual, audible and even email alerts are available. The indicator will alert you when it's in a period of sideways movement (or consolidation) by means of a minimum breakout setting. 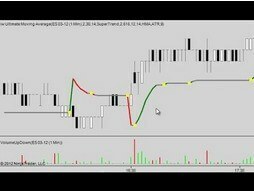 When the moving average goes into consolidation, the line color will change to a neutral (user defined) Ranging Color. 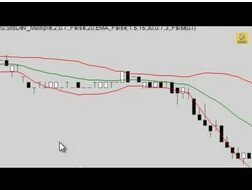 You have two options to color the price bars according to their relationship to the moving average. You can color them based on whether or not they are above the moving average, below the moving average, or straddling the moving average. We have added additional alert functionality for when price is in the Zone of a defined moving average. 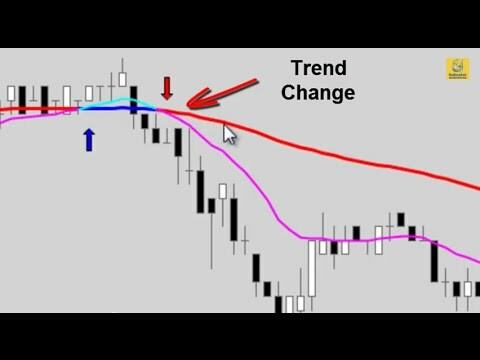 In addition, the Ultimate Moving Average now includes a new version of the SuperTrend Moving Average. AlertZoneArea parameter lets you create an "alert zone" above and below the moving average. Whenever price enters this zone, you can signal an alert. Likewise, whenever price exists this zone, you can signal a different alert. 4) Optional: Send email of signal to user specified email address Email subject line contains the name of the indicator and the name of the instrument, and the chart timeframe. Email's are automatically limited to 1 email per bar, regardless of what CalculateOnBarClose is set to. Ranging Settings help you identify when the moving average is in a consolidation period...the indicator lets you specify a new line color to be printed when the moving average is frequently reversing itself. This is identified by means of a parameter named "MinTicksForBreakout". That value lets you specify how many ticks of movement in the moving average is required before it is considered to have broken out of a non-trending zone. NOTE: This indicator has a sophisticated plotting method that eliminates the typical "mis-paint" problem associated with NT multicolor lines. The plotting of trend changes is guaranteed accurate regardless of what CalculateOnBarClose is set to (true or false). Place two “Diamonds” on the chart at the same bar. This quickly turns-on the “inspection” mode for all bars on the chart. Set this to true and all transaction counts will be considered as positive. ShowDotsOnHistorical - Do you want to see the bid/ask volume dots on each historical bar? ShowTotalsOnCurrentBar - Do you want to see the total contracts traded, on the current bar? ShowTotalsOnDiamond - By placing a "Diamond" chart marker on a bar, you are able to inspect the volume for that bar, on the fly. ShowTotalsOnHistorical - Do you want to see the bid/ask volume totals on each historical bar? NOTE: THIS INDICATOR REQUIRES BID/ASK DATA. 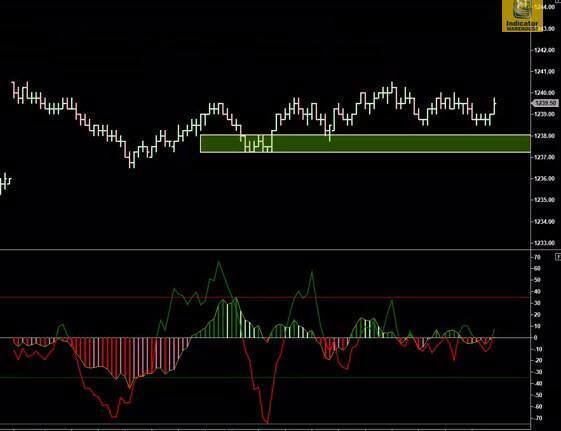 To use this indicator you must have an unfiltered data feed such as Kinetick or Continuum provided by NinjaTrader Brokerage. This indicator must calculate as the live price action comes in, not historical data. It creates bars when they are the most current. It cannot create them once they are older. Therefore, if you hit F5 or any behavior equivalent to hitting F5 (adding another indicator to the chart, changing a parameter in any indicator on the chart) while the indicator is active, all the indicator bars that were calculated on the live data, become historically based and no data is there to recreate them. They will “disappear”. Please note this is normal behavior and a necessary part of the indicator design. If the Market is going to Reverse, the OBOS will catch it! 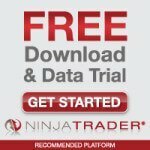 This trading tool aggregates the top Overbought-Oversold trading indicators into one tight day trading power tool that can identify key trading conditions using Stochastics, StochasticsFast, RSI, MFI, CCI, Williams%R, or ADX indicator. 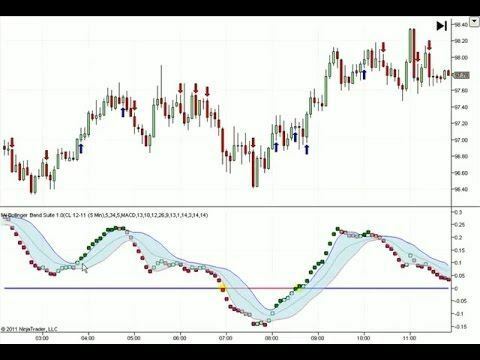 Now integrated into NinjaTrader's Market Analyzer! Includes "Arrows" settings that will output a colored Arrow, Triangle, Dot or Square to the price chart depending on the condition of the oscillator. The "Background" settings will colorize the background of the oscillator sub-panel based on the condition of the oscillator, when it is in OB or OS territory. The “Parameters Stoch” category controls the oscillator when you’ve selected OscillatorType of “Stochastics” or “StochasticsFast” indicator. The “Stoch Alert” category contains parameters that are Specialized for the “Stochastics” and “StochasticsFast” oscillators. All this and more are included with the indicator in the User Guide. Keep your screen uncluttered by drawing visual alerts on the primary price chart representing conditions identified by the indicator. Color chart background of the oscillator sub-panel based on the condition of the indicator. This indicator is the direct result of over three years of end-user feedback, upgrades, and improvements. The moving average (MA) cross provides you the flexibility of selecting over 10 different MA types to work with. Depending on your settings, it draws signal arrows provides a variety of visual, audio, and email alert notifications when a pair of moving averages cross, or even get Alerts when the moving averages are getting close to each other. 6 different input data types, for each MA. Open, High, Low, Close, Median and Typical. You can set the first MA to be based on the Open prices, and the second MA to be based on the Typical prices. MultiColor MA feature - The basis for the coloring of the MA's is changed via the "ColoringBasis" parameter. DirectionFill function - Fully configurable moving average ‘band' of color showing the direction of the move. Choice to turn on or off the moving average band display on charts. OnCrossing - Colors of the MA's change when the Fast MA has crossed above or below the Slow MA. OnTrendChange - The color of each MA changes when that MA's trend changes. This is the customary multicolor MA approach. NoColorChange The colors of the MA's do not change...they stay the same regardless of crossing or trend changes. This is basically the standard monocolor approach. Lets the signals fire when the two MA's come within this many ticks of each other. Helpful if you want to be alerted of the possibility of an impending moving average cross. When ValidZoneSize is set to some number greater than zero, the indicator now lets you flag different signals based on whether or not the MA's have become near to one another (an Inward cross), or when they have become far apart from one another (an Outward cross). You then get to draw different chart symbols based on the Inward cross, or the Outward cross. The "Swiss Army Knife" of MACD cross signallers. Yesterday's Open, High, Low, and Close for Support and Resistance TODAY! This indicator can create support and resistance indicators using pivot points from yesterday, the previous week, or month. You can calculate these levels based on daily, weekly or monthly bars (so long as you have enough data loaded on the chart). Second, the indicator lets you specify the sound file that will be played when price touches any of the 21 levels. It will play the sound file once per level hit, and gets reset once price touches another level. Third, you can engage a pop up alert window at any of the 21 levels. Finally, you can specify an email recipient for any of the 11 main levels (R1-5, S1-5 and PP). Simply supply the recipient email address, and turn on the EmailAlert true/false parameter for any of the levels you want to scan for. Engage a pop up alert window at any of the 21 levels. Fast and Simple way to measure the distances between Swing Points on a Chart. The Swing Wave Calculator provides an quick and easy way to measure and analyze the distance between swing points and waves in ticks, points, or bars. These numerical values are drawn at the midpoint of the line that connects two dot endpoints. The markets are always in one of two phases: expansion or contraction. The trick is to find out which way the market is expanding and get ready to go in that direction. Swing Wave Calculator helps see which side of the market is expanding by evaluating the different waves. Likewise many traders want to know the "strength" of a wave they are on (I do!) If the wave is getting weaker then you would be on the lookout for a possible reversal/pullback. The Swing Wave Calculator works very well in combination with the Mini-Elliot Wave and Ross Hook 1-2-3 Wave Counter for analyzing the strength of the waves in action. In addition, The Swing Wave Calculator's price option is a useful tool for quickly determining the dollar value (risk) of an entry. This premium trading tool not only shows the distances between swing point, but also has a "ShowStatistics" mode to visually display the average distance and standard deviation of distances for any "dots" on the chart... this can be done with manually drawn dots or programatically with the built-in Zig-Zag nodes indicator. The built in ZigZag Dots On Node indicator draws the necessary dots on each node of the ZigZag indicator. These dots are easily adjusted to your specificationas and serve as quick inputs for the Swing Wave Calculator. DotSource - Select manually drawn dots, automatically drawn dots, or both. The indicator can be set to distinguish between manually drawn dots, or dots drawn automatically by an indicator or strategy. This powerful analysis and drawing tool is perfect for ZigZag swing calculation, historical strategy entry/exit distance calculation, and manual/automatic wave counting. Output is # of ticks / # of bars. So when two dots are 10 ticks apart in price and 3 bars apart time, then the output will be "10/3"
Similar to TicksAndBars, but this is in instrument points. Ticks: Displays only the number of ticks in price between dots. Points: Displays only the number of instrument points in price between nodes. Bars: Displays only the number of bars between dots. ShowDotId - Each dot on the chart is given a sequential number, starting with "1". If you want to print that sequential number near each dot, set this parameter to "true"
Line Color - A dashed line is drawn between the two input points. Set this to "Transparent" to turn-off the line. ShowStatistics - If you want to get data on the average distances between points, and you want to get data on the standard deviation of those distances, set this parameter to "true". The information will be printed to the upper right corner of the chart and also to the Output Window. Text Color - Color of the distances information printed between two dots. Text Size - Font size of the distance information printed between two dots. Insert a "Square" in the appropriate place and it will act as a divider or terminator. The "Square" is drawn by an Alt-F6 keystroke. Clearly a case where the Sum is More Accurate than its Parts. 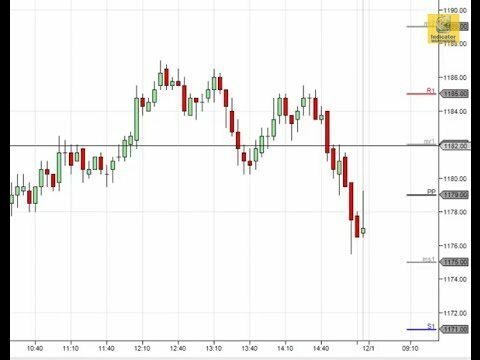 This new and improved suite of indicators can be used as stand-alone trading tools, or combine two instances for even more creative combinations. The indicator has two modes, Trend (default) and Counter-Trend. 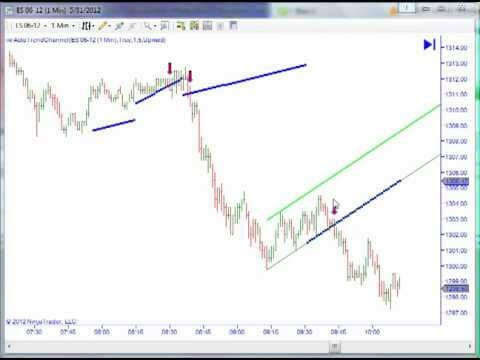 The suite even includes audible alerts for Divergence and Counter-Trend opportunities. 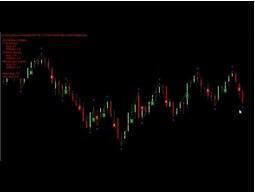 When the INDICATOR value dots rise outside of the upper Bollinger Band, a Buy signal is generated shown as an Up Arrow. When the INDICATOR value dots fall outside of the lower Bollinger Band, a Sell signal is generated shown as a Down Arrow. When the INDICATOR value dots fall from outside of the upper Bollinger Band, a Sell signal is generated shown as a Down Arrow. When the INDICATOR value dots rise from outside of the lower Bollinger Band, a Buy signal is generated shown as an Up Arrow. By Default, the indicator's alerts will oscillate between buying and selling. When set to show re-entries, it will show all signals regardless of trade direction. Re-entries may be helpful for choosing areas to take profit or re-enter a position if stopped out on a previous trade. The indicator will optionally show divergence in price vs. INDICATOR value, illustrated by Buy and Sell triangles and lines above/below price bars. Audible alerts sounds can be set to built-in or custom .wav files. The indicator's colors can be customized. From Trend to Channel, all in one Panel. Accessible to Strategies/Indicators - Plotted values of the trendlines are available to any other NinjaScript Strategy or Indicator...essential for strategy or additional indicator development. We didn't make Price Action lines... We made them better! The tool can even send an email to your phone, so you don't have to stay at charts all day long. This enhanced version of the Extended Line, Erich, or Horizontal Line drawing tool enables you to Manually add alert enabled price lines and volume level alerts to your charts. Produces an audible alert and/or a chart marker (diamond, arrow, triangle, dot) whenever price touches any trend, price, or volume level. TextMsgPosition - lets you choose the location of the text message notifications. To disengage text notifications, set this parameter to "None"
MultipleAlertsPerBar - Lets you determine if you want the alerts to be played multiple times for each bar. SoundFileName - Default sound file alert played when a defined line is hit, UNLESS the price line has a specially encoded Tag. See "Special" details below. EmailAddress - If an email address is supplied, and if your platform is configured to permit email sending, then a short email message will be sent whenever a level is hit, according to the EmailFrequency parameter. To turn off emails, simply leave this parameter blank. EmailFrequency - This is the minimum number of bars between email messages. If you want to permit an email message on every bar, then set this parameter to "0" meaning you do not require any bars in between valid email sends. If you want at least 1 bar between email sends, then set this parameter to 1, etc. 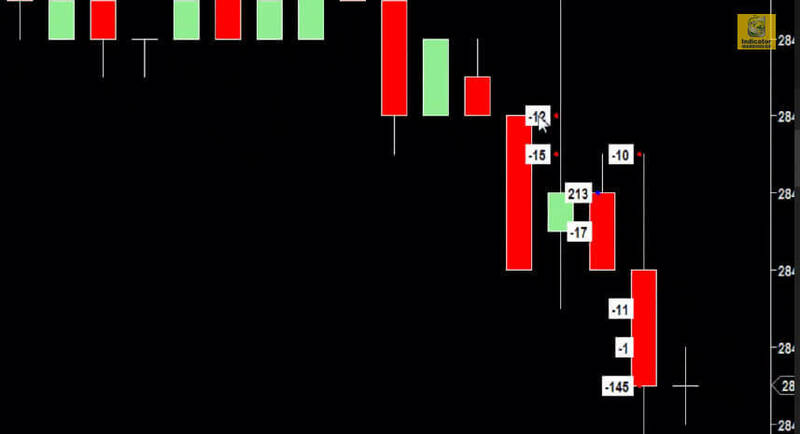 ShowNearest - true/false switch that lets you quickly turn-off the display of the nearest price alert levels. These levels will appear at the far right of the price panel of the chart. 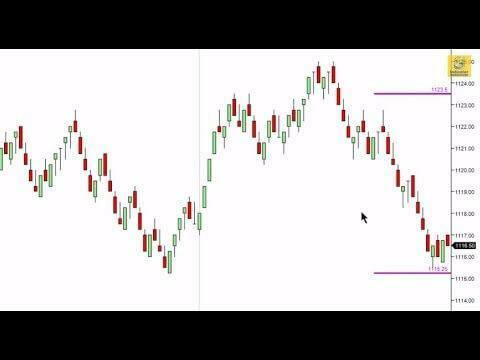 The One Two Three Wave Counter is one of the best day trading indicators for finding the most powerful Elliot Wave patterns found in day trading, also known as the A B C formation. 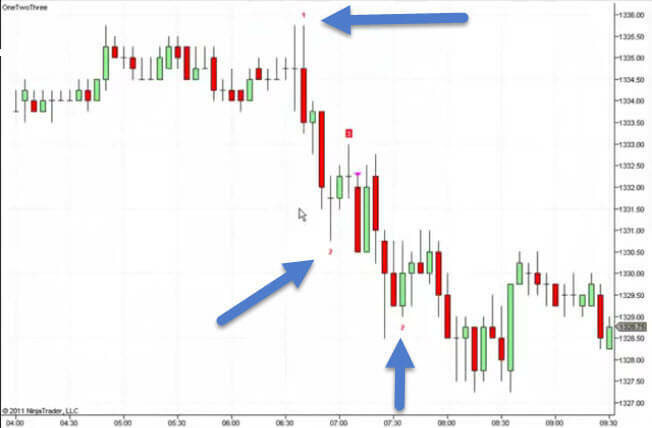 This custom NinjaTrader indicator draws the #1, #2, and #3 part of the Ross Hook formation ON THE CHART at the appropriate Wave points in the formation. This formation was made famous by Joe Ross and his Traders Trick Entry, and is an integral part of his Ross Hook formation. Optional audible, visual, and even email alerts can fire off when a #3 wave has occurred. In addition, the flexible parameters enable you to define the maximum number of bars between a valid #1 wave and a #3 wave. The One Two Three Wave Counter also allows you to determine how close the #3 wave should come to the #1 wave and still be considered valid or disqualified trading opportunity. Finds all Ross Hook 1-2-3 formations ...both high (sell) and low (buy) wave patterns. Labels all #2 and #3 waves associated with #1 points. Prints #1, #2, and #3 Elliot waves individually, as they appear on the chart, in REAL TIME. Volume pressure represents the total amount of trading activity or contracts that have changed hands in a given commodity market for a single trading period. The greater the amount of trading during a market session the higher will be the trading pressure. Higher volume pressure on the chart means that the trading activity is heavier for that period. Another way to look at this, is that the volume pressure represents a measure of intensity behind a price action. The greater the volume pressure the more we can expect the existing trend to continue rather than reverse. Many trades believe that volume precedes price, meaning that the loss of buying pressure in an uptrend or selling pressure in a downtrend will signify a reversal in trend on the bar chart. It is important to understand that the commodity price chart only records the data. In itself, it has little value. By monitoring the price trend, volume pressure the you are better able to gauge the buying or selling pressure behind market moves. This information can be used to confirm a price move or warn that a price move is not to be trusted. 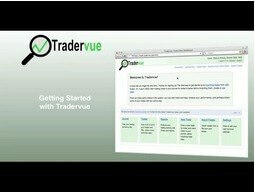 This will provide you with valuable information to enhance your trading strategy. Fast and slow lengths are user definable parameters (for different markets), and can be plotted during or after bar close. This indicator is best used in conjunction with key levels of support and resistance for trade entry and exit. The slow volume histogram line is excellent for trend visualization and the end of a trend when the slow line crosses the zero line. THIS INDICATOR REQUIRES BID/ASK TICK DATA. 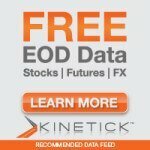 To use this indicator you must have an unfiltered data feed such as Kinetick or Continuum provided by NinjaTrader. We recommend keeping this indicator in a separate chart/window, so as not loose any valuable intraday data. Please note this is normal behavior and a necessary part of the indicator design. This indicator must calculate as the live price action comes in, not historical data. It creates bars when they are the most current. It cannot create them once they are older. 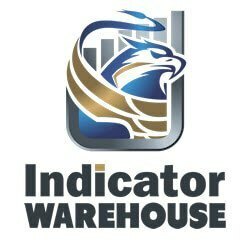 Therefore, if you hit F5 or any behavior equivalent to hitting F5 (adding another indicator to the chart, changing a parameter in any indicator on the chart) while the indicator is active, all the indicator bars that were calculated on the live data, become historically based and no data is there to recreate them. They will "disappear".